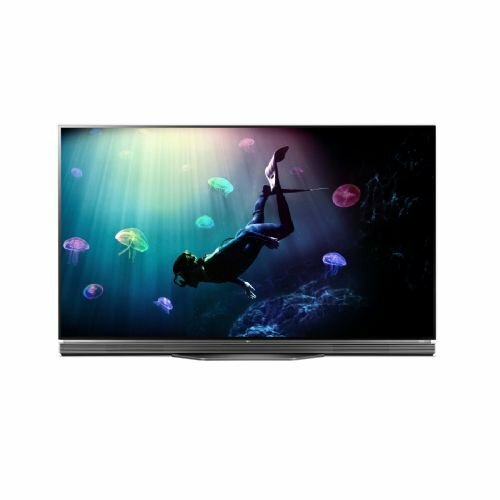 View content at four times the resolution of 1080p with the LG E6P-Series 65"-Class UHD 3D Smart OLED TV. It will upscale lower-resolution video sources to near-4K quality for improved clarity. This TV has a 65" OLED display for enhanced black levels and virtually infinite contrast. Being OLED HDR-compatible, it can display a wider range of color than non-OLED HDR TVs. The E6P has built-in Wi-Fi and Ethernet connectivity to allow access to your favorite apps and Internet-based content via the LG Content Store and the integrated web browser plus media sharing and screen mirroring with your other compatible smart devices such as your smartphone or tablet. With three HDMI inputs, there are multiple options for connecting high-definition video sources. It also features a composite RCA input that can act as a hybrid port able to accept a component video input for analog HD sources. Three USB ports are also onboard for connecting multimedia peripherals like flash drives. Box Dimensions (LxWxH) 63.0 x 40.0 x 6.7"